How self-aware are you – really? During a typical day are you tuned in to your emotions (positive & negative) when they are actually occurring? Can you label these feelings and do you know why they are being triggered right now? And most importantly, do you take the time to learn from these insights and consciously use this learning to improve in your career? Sounds easy . . . but actually this level of awareness takes constant practice. Here are three tried and true ways to “self-coach” yourself to increase your self-awareness a day at a time. Slow down! Give yourself permission to simply be in the moment. Focus on what you are doing right now, minimize the distractions and let yourself concentrate. Next check-in with your feelings each hour (or more frequently). What are you feeling physically, emotionally and mentally? Label these feelings in your own words. Ask yourself what these emotions are telling you – what personal values, concerns, hopes or worries are being triggered? Now the important part . . . listen to your own intuition to gain some insight into how you might approach a challenging issue or situation at work. What is coming up regularly and why? Challenge yourself to be curious. Allow yourself to step back, think, and perhaps take another path to solving a problem. Be open to learning from the best teacher you know – yourself. Emotional Intelligence 2.0, 2009, Travis Bradberry & Jean Greaves, Talent Smart, San Diego, California. This book is a bit different. 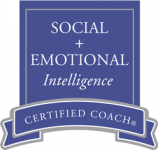 Although, I have a whole library of books on social & emotional intelligence very few offer concrete action steps on how to improve the various elements of emotional intelligence. The Talent Smart team has done that nicely in this small purse sized book. It is filled with great and very practical suggestions on what each of us can do on a daily basis to practice these competencies. Pick it up and just select one area for yourself per day to practice. You will be delightfully surprised how well you begin mastering these skills.